It was a cold January day as I started my hike up to Dream Lake for sunrise. Fog and snow had drifted into Rocky Mountain National Park overnight. The fog along with the snow coated all the trees in and around Dream Lake with a beautiful frosty covering. 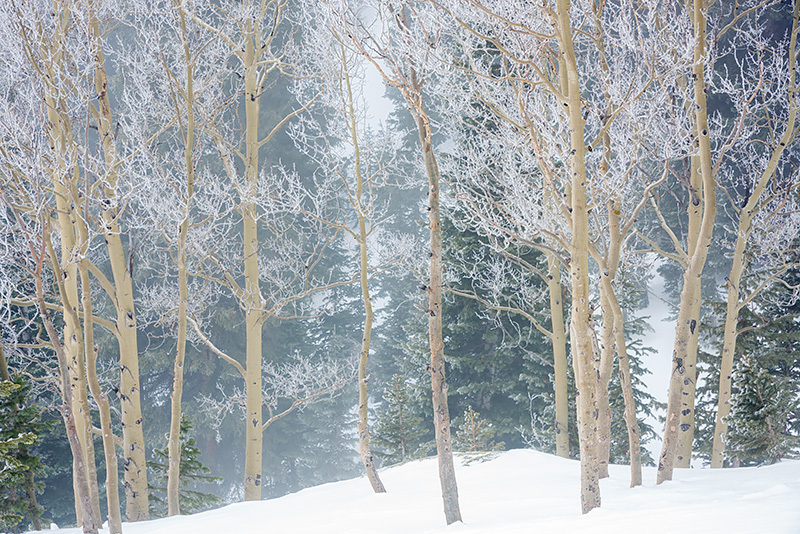 This group of aspen trees which reside just below dream lake took on a magical quality as the fog would move in and out of the trees obscuring the forest from view only to reappear a few seconds after the fog would clear again. We dont get a lot of foggy days in Rocky Mountain National Park, especially combined with snow so when it does happen it really makes for a special and unique expierence. Photo © copyright by Thomas Mangan.